So I've been meaning to do this post for a while, but a series of unfortunate events means I haven't been able to blog for a little bit. 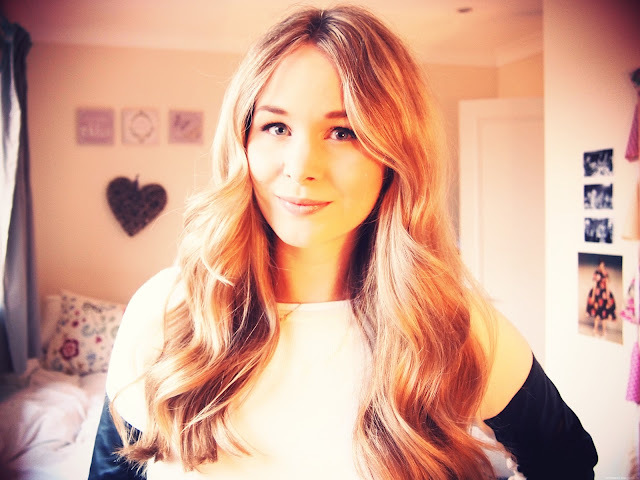 Anyway, a little back story of how I do my curls normally - I used to use a concial wand however recently I've been using my GHD straighteners as I find them quicker to use and I get more of a curl rather than a wave. 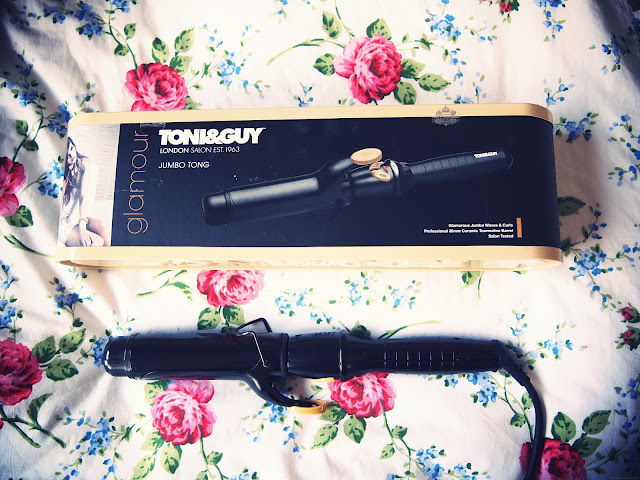 I was really intrigued with these Toni & Guy Jumbo Tongs (£19.99* link here) as they are the biggest ones I've seen at 38mm. I would say that as they are so big, you'd really have to have longer hair to actually get some curls. That being said though I think with shorter hair you could use them to get some volume and root lift. The tongs themselves are really reasonable priced at £19.99 but I do think this shows in how they feel. They are quite plastic-y and squeaky but they work perfectly and to be honest these are the kind of things I wouldn't want to spend lots on as I'd only use them now and again. They have heat settings you can change which changes how strong the curl is, I used it at full temperature because I wanted a brushed out Hollywood style look but you could have the temperature lower to just give your hair some movement. All in all, for the price I like them as I think they'd be good for special occasions but I still find tongs a bit tricker to use than straighteners. I have had these for YEARS they are my go to styling aid when I need to get ready quick! !